Sugarcane's first line is a tribal-inspired mini collection that includes a bib dress, girl's bib tank, boy's short sleeve tunic, unisex slouch pants, and unisex wrap shorts. 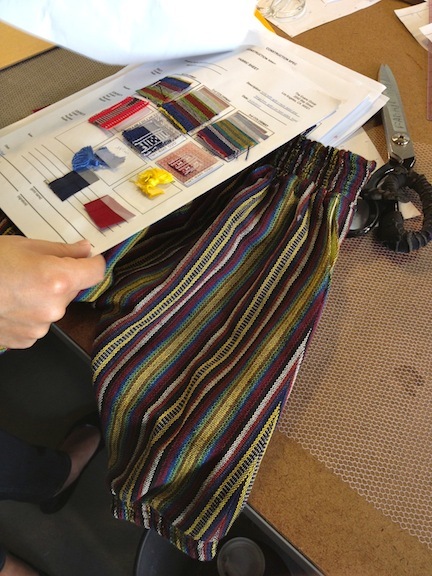 Sugarcane is partnering with ANTHILL as its textile supplier to promote indigenous Filipino fabrics and to support the hill tribe mothers, who weave them to provide for their families. Sugarcane will manufacture in California, but, first, we need fit samples. To start, I chose The Factory for sample and pattern making. Then I provided them with technical drawings, spec packs, the special fabrics from ANTHILL, trim, and notions. Next, I wait until the fit samples are done.